A successful race tuner in Canada must be the soul of generosity, as otherwise few or none could afford his services. Neither purse money nor sponsor dollars, especially in earlier days, could provide adequate compensation for the endless hours of solitary effort that go into building a winning machine. If they truly counted their time, most race mechanics would find minimum wage something to look forward to. Pursuing the next race win, year after year and decade after decade, with a long list of rider talent requires a special level of commitment. That commitment is synonymous with Jim Sehl. 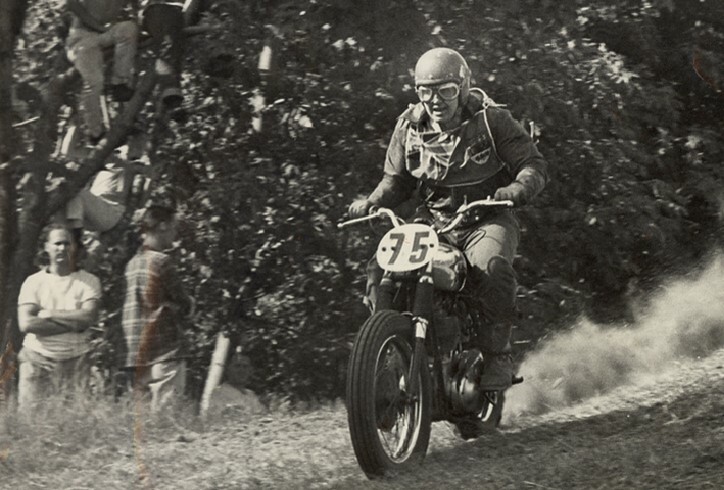 Jim Sehl from Northern Ontario Motorcycle on Vimeo. Jim is the big brother of his generation of Sehls, and the man who consistently put winning machinery under both his younger siblings, Dave and Doug. Jim was a racer, himself, and knows first-hand what’s required when the green flag drops. 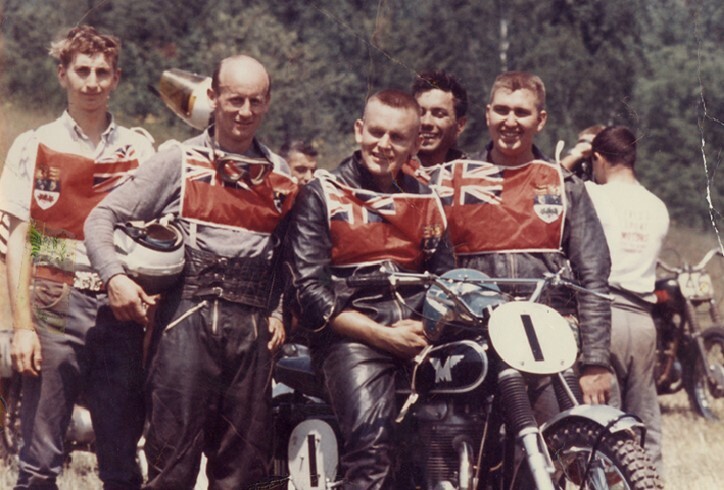 He supported all the Steel City Riders events, riding scrambles, trials, ice races and hillclimbs on AJS, BSA and Triumph, and also had a go at road racing in the early 60s. 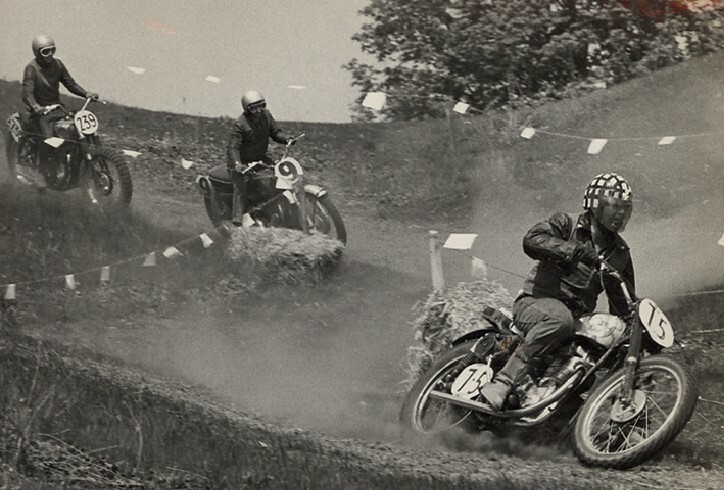 Jim settled on dirt track and raced his 650 Triumph on a variety of circuits; his favourite was a TT course at Medina, N.Y., where he rode until 1974. Jim was born in Woodstock, Ontario in 1941 and has always worked with his hands. 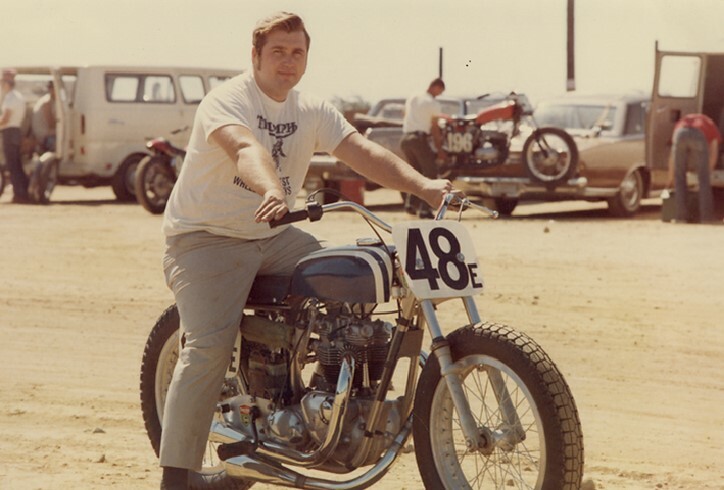 In his early days, Jim worked as a car mechanic in an alignment shop but, around 1967, was talked into taking up the motorcycle trade by Lloyd Weston. 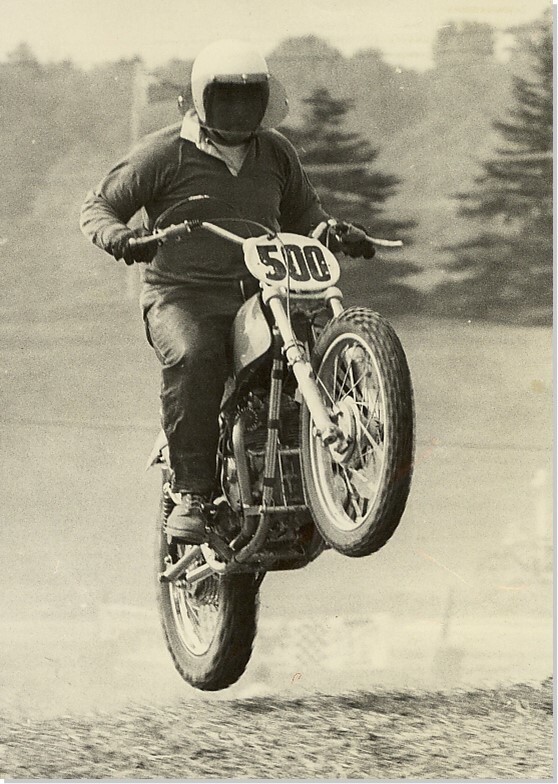 Lloyd owned a motorcycle shop near Guelph and was an energetic promoter of all things motorcycling. He had a scrambles course set up behind the shop and, during the five years he worked for Lloyd, Jim began competing there. In 1972, Jim moved to Hamilton to work at PK Sports for six years, then became a partner in Power House Honda in Hamilton and Oakville until 1983. He then spent three years at Doug’s Cycle in Grimsby until owner ,Doug Ratcliffe, closed the business and moved to Florida to sell computers. After a short stint at Suzuki Plus in Hamilton, Jim found his niche at Baldwin’s Cycle in Dunnville and worked there close to 20 years. 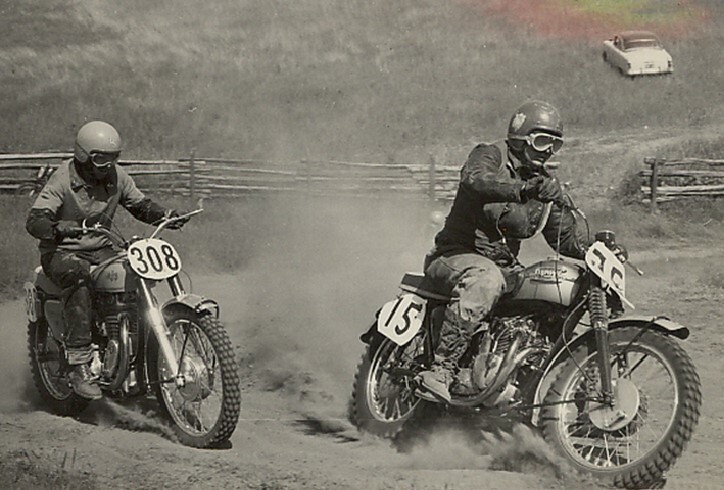 Jim and his wife, Marilyn, have three children, Jamie, Bob and Scott, all of whom competed on motorcycles. 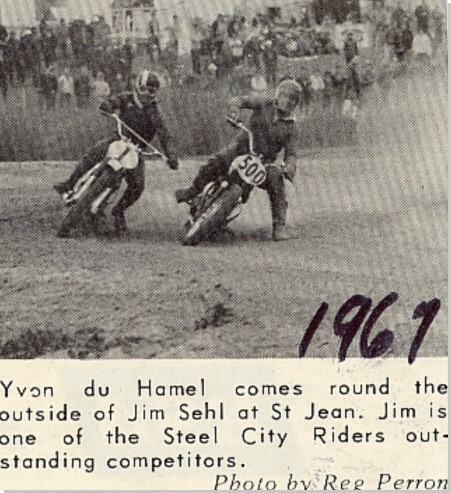 Nowadays, it’s Jim’s grandchildren carrying the Sehl family name to the race track. Jim’s always been interested in how things work and ways to make them work better, and his motorcycles are state-of-the-art. He sourced the best frames from Trackmaster, Sonic and Rickman Metisse, and wrapped them around his favoured Triumph engines. After his attention, they rivaled the best from the Triumph factory in England or from Rod Coates at the company’s headquarters in the Eastern U.S. It was all Jim’s handiwork, done in his basement or garage on his own time — small wonder that ambitious riders beat a path to his door for tuning services. The recipients of Jim’s expertise included his brothers, Dave and Doug, Michel Mercier, Moe Fraser, Chris Evans, Bob Harpwood, Corky Keener, Buck Brown, Bobby Stevens, Jim Gill — and the list goes on. 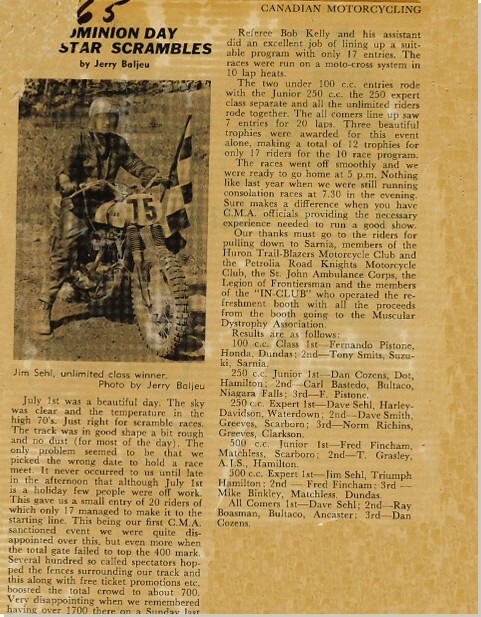 Says dirt track legend, John Parker, Over my 42-year racing career, Jim Sehl has been both a help and an inspiration to me as a rider and as a tuner. He has always been willing to help others and share his knowledge. I don’t think there’s a tuner in Canadian history on pavement or dirt that has won or been instrumental in as many No. 1 plates as Jim Sehl — somewhere in excess of twenty. Michel Mercier says, Jimmy is a big part of my success in my motorcycle racer career. He gave me confidence, and tuned and maintained the next machines with which I could show my talent. Jimmy, you deserve to be recognized as a great mechanic, tuner and unbelievable friend.